Thank you for your interest in setting up your own OpenPool! First of all, please understand that OpenPool is a DIY project. Not only a sprit, but also relatively high technical knowledge and skills will be necessary. When you face a problem not mentioned here, you’ll have to solve it by yourself. All set? Please firstly skim through the whole instruction, then let’s get started from STEP1. Suppose you use 9ft table: The height between the table-top and the Kinect2 lense should be more than 180cm (6ft). When you use 8ft table, just multiply 8/9, so the height needs between the table-top and the Kinect 2 lense should be at least 160cm (5 1/4 ft). If you can turn on/off the light of the room as you want, that’s perfect. If not, you should consider the brightness of the room. The darker the room the better the experience you will get from OpenPool. Also, you will need to take care of the cable length. Especially, if you plan to extend USB3.0 cable, which is used by Kinect2, it could be hard. Don’t have a table yet? Two more things. If you already have one, skip to STEP2. Is there enough space to accommodate a pool table? Regardless of OpenPool or normal billiards, when you want to play pool you’ll need some space. Brunswick Gold Crown 3 was used for our first OpenPool. 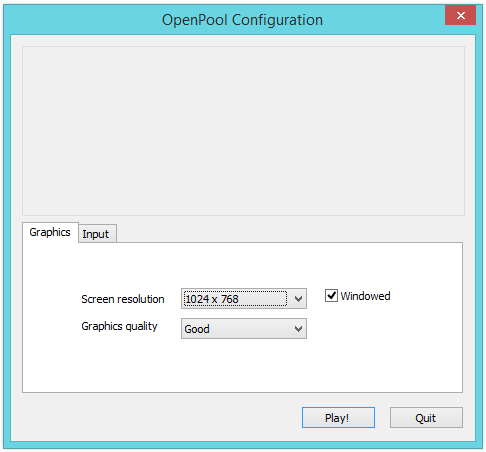 Although not required to get OpenPool to work, it’s highly recommended. The playing experience is much better on gray colored cloth, instead of green or red. See this post. Kinect for Xbox will not work. Be careful! What our team has used is BenQ’s one. Buy basically any kind of projector will work. It depends on your ceiling height. The best recommended PC which we tested is Intel NUC D54250WYK. It’s super tiny and, it just works! If you want to use any other PC, please read below. If you’re adding USB 3.0 functionality to a current PC by installing a USB 3.0 host adapter (PCIe), please verify that the USB 3.0 host adapter supports Gen-2. Please note that you may have to try different PCI-e slots to find one that provides the USB bandwidth required by the sensor. We’ve found that plugging the host adapter into one of the graphics slots works best. Sample effect (details below) doesn’t make sounds so you don’t need speakers basically, but if you plan to write your own effect, you may want to plug in speakers too. Install necessary softwares into the PC you prepared in STEP2. Download and install Kinect SDK from the page below. 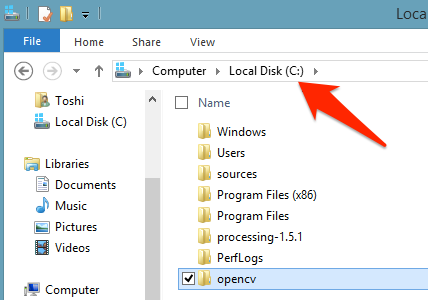 Download OpenCV 2.4.9. OpenPool requires the version at this moment. Then, run the .exe you downloaded. 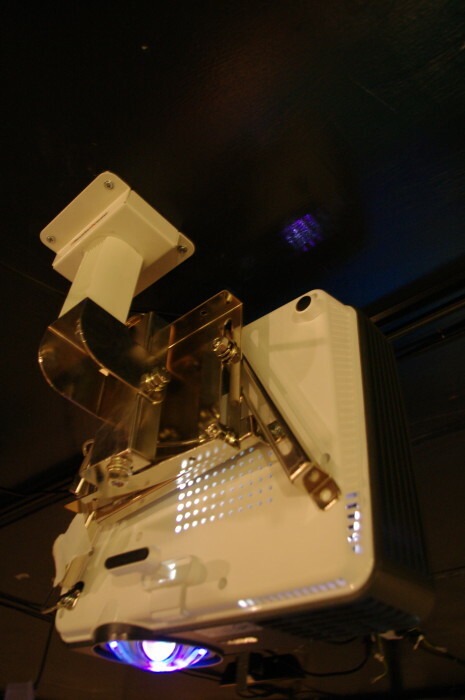 It unzips itself and you will find “opencv” folder extracted. Move the folder in the C drive. Next, you have to set the PATH system variable. 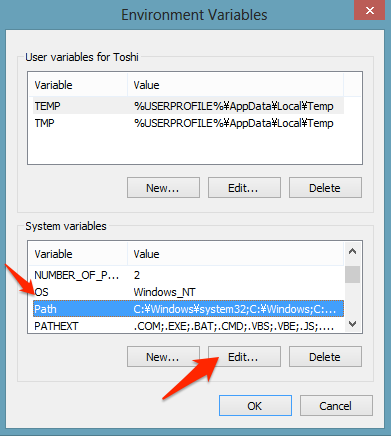 Search “path” in your Windows 8 search box. Find “Edit the system environment variables”. 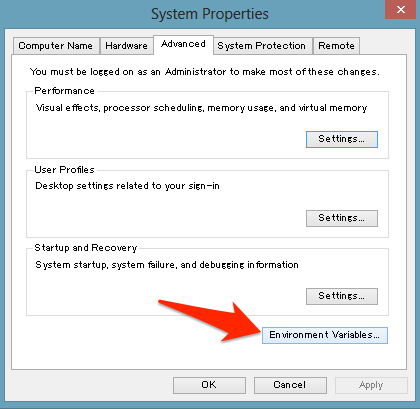 “Advanced” > “Environment Variables” > Select “Path” in the “System variables” box. > “Edit”! Download OpenPool Core GUI, and put it anywhere (desktop, maybe). Download the sample effect as well. Find a billiards supplier and have them setup. Installing a table needs professional skills. Just put Kinect onto the center and middle over the table. The positions are not strictly fixed and there’s no perfect answer. Rather, you should try and error to find the best position for you environment. You can see what the Kinect sees in OpenPool Core GUI. Projector would be put right above the center of the longer side of the table. Just turn on the projector and adjust the position so that the light can cover the entire table. Put the PC somewhere around the table. Don’t forget you need to take care of many cables. You can make pocket detectors for yourself, though it requires you some knowledge including soldering, etc. At this moment you need to build the devices on your own. ※You might see an error saing that opencv146.dll lacks. In that case, you may have to set the PATH variables. Then, please refer to STEP4, 3-2 “How to set PATH”. On the upper-left area, drag and drop to draw a rectangle. That cropped area is where Kinect 2 should see. The rectangle area on the bottom shows where you cropped. This parameter defines the range of the distance which Kinect camera should (vertically) see. In other words, the camera detects objects between the nearest and the farthest thresholds. Ideally, the “Bin thresh(far)” and “Bin thresh(near)” should correspond to the distance of “Kinect to table-top” and “Kinect to ball-top”. Next, you have to tell OpenPool the size of the balls. In the preview pane in the bottom, you can see some red-bordered blobs. These blobs shows the areas which are between near & far threshold you set using “Bin thresh(near)” & “Bin thresh(far)”. To find balls from these blobs, you need to set thresholds using min & max threshold sliders “Blob size(min)” and “Blob size(max)”. Detected balls are circled with green. This reduces noise which Kinect causes. We are using “Erode and Dilate method” which is popular among image processing to reduce small noises. Bigger value you select, you get clearer result but details of shapes are lost. Using this slider you can set the numbers of frames which are used in time-series smoothing. More frames you set, you get smoother result. On the preview pane in the bottom, you can draw rectangles by drag-and-drop. Any objects in these rectangles are ignored by the system. You may want to use this feature to avoid noises that cannot be erased. You can create as many ignored area as you like. When you want to start over, use Reset button. Use Undo button to undo the last one. All the parameters will be saved in config.xml, except for the ignore areas (and IP address and port). You will see this window. 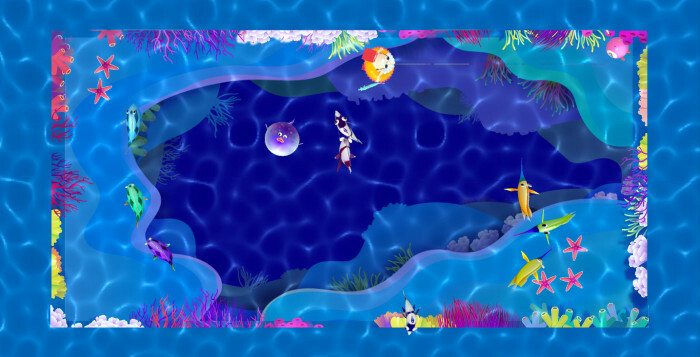 Screen Resolution: It depends on your PC and projector settings. Please try several times. Next you need to configure some parameters with PoolController. You will see a box on the top of the PoolController window. You need to put your IP address. As you see, you can configure Unity camera’s position (X,Y,Z), rotation, (X,Y,Z), trim(X,Y,W,H).